⦁ UV, mold, and mildew resistant – Our parachute cord has a high number of interwoven strands in its outer nylon sheath which makes it UV Fade, Mold, Mildew and Fray Resistant. This Paracord is great to keep on your boat, in your shed, bug-out-bag, emergency kit, hiking backpack, or with your camping tools. ⦁ Stronger than 550 and 750 -This paracord is a must have for camping, boating, crabbing, clotheslines, halyard and garden lines & much more! 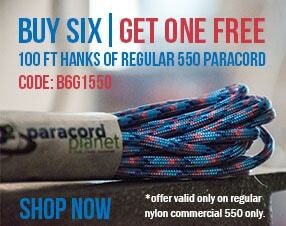 If you need a rope that has great strength & durability, 850 paracord is your best option! It has 8 HIGH TENSILE STRENGTH INNER STRANDS that have an average breaking strength of 850lbs – that’s 300 LBS MORE THAN 550 PARACORD! ⦁ Multi-purpose cord ready for whatever you need it for. Paracord Planet's 850 parachute rope is perfect for camping, crafting, hiking, survival and emergency needs or even craft with it! 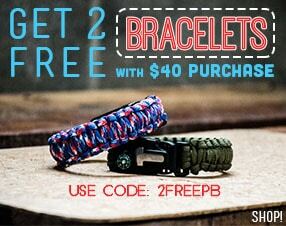 Make Paracord projects like bracelets, lanyards, necklaces, or woven coasters. Use it for self-defense tools, wrap a hatchet, knife, or flashlight to get a better grip.